The days are getting longer and so the drive in to Little Twig at the end of the work day is no longer in the dark but in the waning hours of sunlight. This means the deer who love to ambush cars at dusk will be lurking behind the trees just before the bridge over the Boulder River. But Daphne is on to them. She slows down from the 55 mph speed limit and looks from side to side and, sure enough, three does come bounding across the road. The weather has been skittering back and forth for days between just above zero to below zero. 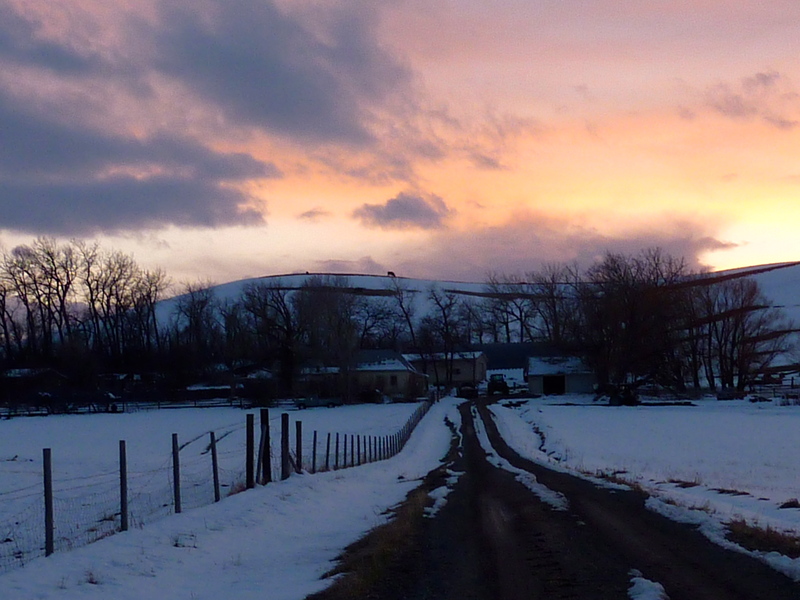 The snow has fallen in large wet clumps unlike the usual powder that blesses Montana winters. Then it melts. Then it freezes. And for the last day and a half it’s now started to rain. And now it’s cold again. And so the road has patches of black ice. Daphne glides to a crawl as the deer slip and slide across her path. All survive and she drives on past the neon sign at the Lazy J Motel that has just come on as night begins. Daphne hitches the car up on small leftover pile of snow and sloshes through a foot of water at the curb. She straightens herself up and breezes into the saloon. The joint is jumping because it is free pizza night. Each year from early February to the end of March, the bar serves free pizza on Wednesday nights to reward the locals for their loyalty and, well, to try and sell drinks at a slow time of the year. Of course, some people who rarely come to the place manage to take advantage of the free food. There was a bit of a kerfuffle years ago when they first started the free stuff because people would bring their kids and try to get away without ordering anything to drink. So they had to put the keebosh on that and make this an “adults only” kind of deal. Thelma and Will are in the middle of the bar. Cal and Carl are down closer to the table with the pizza on it. Sonny, Soot, and Clay are at the other end. Daphne slides on to the only bar stool left and throws off her puffer coat. Claudia sets a glass of Savignon Blanc in front of Daphne. Attention turns back to Will. Soot, Sonny, and Clay nod in agreement. Daphne (a bit thoughtfully): “You know what I do. I don’t fight sleeplessness. Thelma, Sonny, Soot, and Clay stare at Daphne. The men then roll their eyes at each other as Thelma looks kindly at her. This entry was posted in Bar Codes. Bookmark the permalink.